In a world first, doctors in Sweden say they’ve wired a prosthetic hand directly into a woman’s nerves, allowing her to move its fingers with her mind and even feel tactile sensations. The hand is an enormous step up from existing prostheses, which often rely on electrodes placed on the outside of the skin — and it could herald a future in which robotic devices interface seamlessly with our bodies. 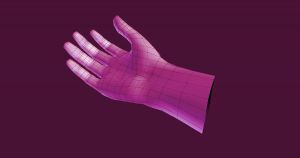 Researchers at Chalmers University of Technology and biotech firm Integrum AB created the prosthetic hand as part of DeTOP, an ambitious European research program on prosthetic limbs. Surgeons anchored the hand to the woman’s forearm bones using titanium implants. They connected an array of 16 electrodes directly to her nerves and muscles, allowing her to control the hand with her mind — and, according to photos, use it to tie shoelaces and type on a laptop computer. “The breakthrough of our technology consists on enabling patients to use implanted neuromuscular interfaces to control their prosthesis while perceiving sensations where it matters for them, in their daily life,” Chalmers researcher Ortiz Catalan said in a press release. Electronics wired straight into a human nervous system allow for mind-bending new ways to interact with technology. A video released by the Swedish researchers even shows the woman using the implant to flex a virtual hand on a computer screen — before the actual physical hand was installed. For decades, cyborg limbs like those depicted in “Star Wars” or “Neuromancer” seemed relegated to the realm of science fiction. New research shows that they’re already here — just not yet widely available.